If you check out the nominations for this year's MTV VMAs, you'll notice some familiar names nominated for Best Rock Video: The Black Keys, Coldplay, Jack White, and Linkin Park. 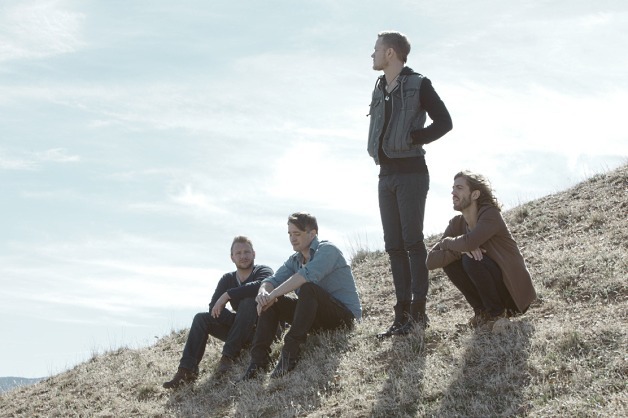 One nominee quickly on its way to becoming a household name is Imagine Dragons, a Las Vegas band who will release their debut album next month. We spoke with guitarist Wayne Sermon about the MTV nomination, what he thought of the band's chances, and their upcoming album. Congratulations on being nominated for an MTV Video Music Award for Best Rock Video. How does it feel? What were you doing when you found out? Were you surprised? I was sleeping and got a call from Dan [Reynolds, lead singer] early in the morning. He was elated. I was just as surprised as him. It was a pretty incredible shock. You're up against some pretty stiff competition: Jack White, The Black Keys, Linkin Park, and Coldplay. How do you like your chances? Ha ha, well seeing as we're from Vegas, I'd say the odds are pretty stacked against us. Really though, as cliche as it may be, it's an honor to be put into a category with people we respect so much. All those artists are incredible and we have such high regard for their contributions music. Will you be attending the VMAs? Will you have an acceptance speech ready or just wing it when they announce that you've won? Ha ha, well we're certainly not writing any speeches. We're mostly practicing our gracious loser expressions. Your debut album, Night Visions, comes out on September 4th. Please tell us about the album. What can fans expect? We are all extremely proud of it. We don't take the first album lightly. A lot of times, that first album ends up defining a band. We wanted to wait till we were prepared for that. It's the culmination of years of defining what we are as a band. We like big sounding things, drums especially. We consider ourselves a very rhythmic-based group, and like to incorporate that in most of our tracks. That along with sweeping vocals and guitar lines, helps define us. Most of all we look to draw something out of people as they listen. We want to touch people and make them feel something. 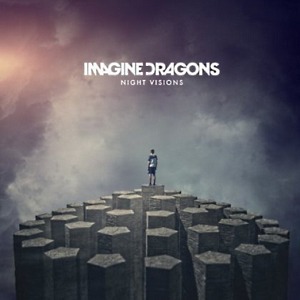 What's your favorite track on Night Visions? That's a tough one. The last track on the album is pretty special to me. Thanks for taking the time to talk with us today. We've got two questions left that we ask every guest. First one is what was the first album, cassette, or CD you bought with your own money? I bought an Alanis Morissette cassette tape when I was 12. If you could have any five artists, living or dead, perform on the same festival bill with you. Which five would you choose and what song would you all perform as the final jam? "Hey Jude" with McCartney and Lennon, Elvis Costello, John Bonham, Freddie Mercury, and Dave Grohl. If you'd like to help Imagine Dragons take home the Moonman for Best Rock Video, cast your vote here.